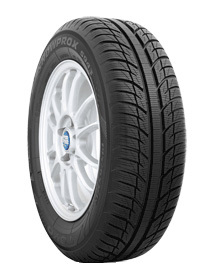 Suitable for small and medium sized family cars, this tyre offers a safe all-round winter driving experience. Constructed with a snow enhanced polymer compound, the Snowprox S943 offers a better grip in tough conditions. This tyre also guarantees a longer wear life thanks to its lower rolling resistance and increased filler dispersion.